Many thanks again to the organizers and the participants that persisted through wonderfully challenging exercisesatthe 2 workshops I gave this summer. 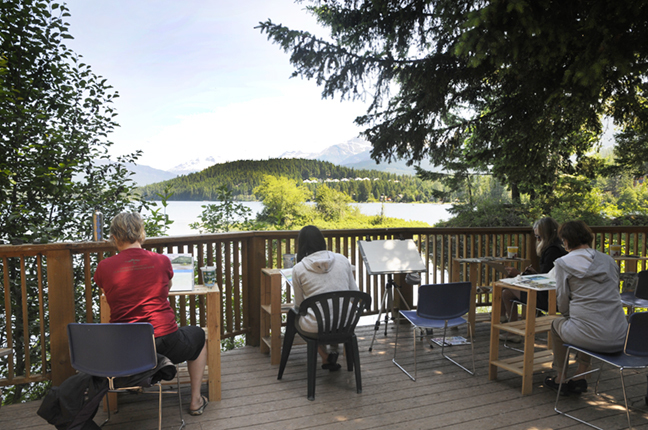 Both theWhistler Arts Council's Workshops on the Lake, and Gibsons School of the Arts have annual fine art programs with a variety of quality instruction. We were blessed with wonderful weather that enabled on site painting right from the studio deckor to long walks on the beach after ahard studio work outon the sunshine coast! 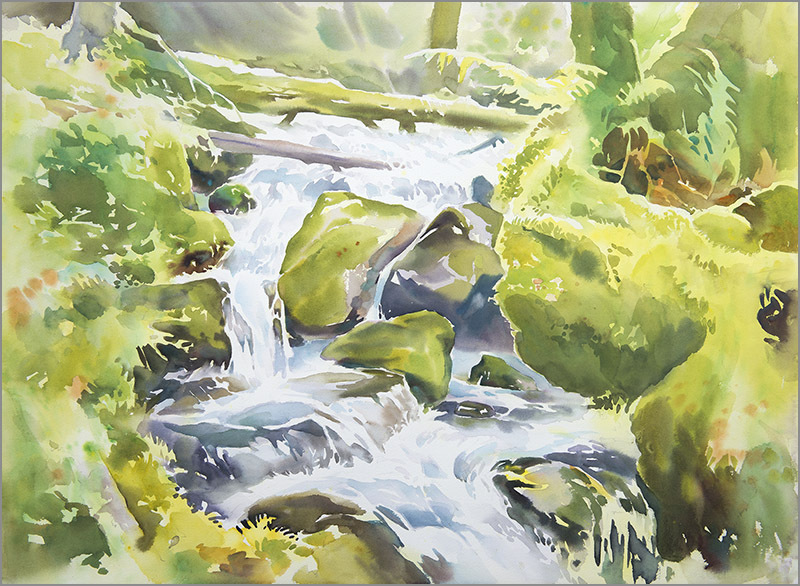 From the our subject of moss-covered waterfalls to shoreline waves, watercolour’s magical flowing spontaneity and ethereal softness as well as its ability to make crisp highly defined form were explored. 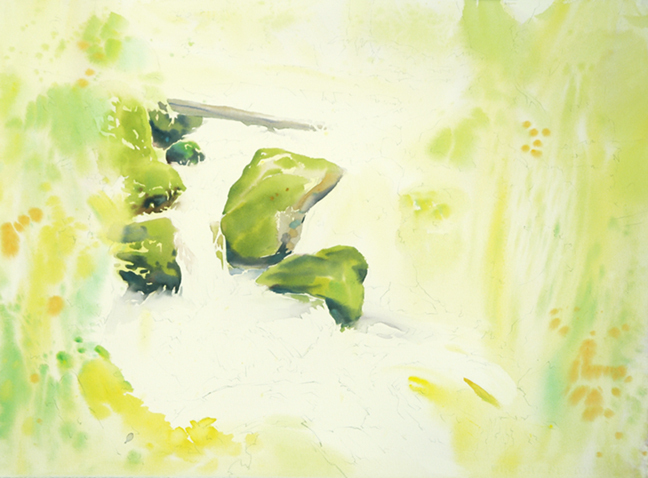 We focused on colour mixing, values, negative shape reading(no masking fluid or tricks! ), creating depth and controlling the hierarchy of focal point. I am looking forward to conducting informal art workshops on expedition cruise ships later this summer in the arctic and later this year in the antarctica summer. More Upcoming workshops will be posted soon.